Although Japanese Knotweed (Fallopia japonica) is considered by many as being rather attractive, it is very aggressive, spreads rapidly and is very hard to remove by hand or even with chemicals. 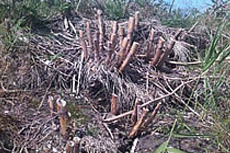 Japanse Knotweed dies back beneath the ground during winter but by early summer the bamboo style stems can shoot to over 7 feet tall. This rapid growth suppresses other plants around it, killing off your flower beds, waysides, borders and growing between your paving. 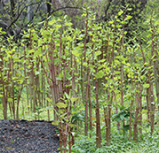 If you find Japanese Knotweed in your garden we'd advise that you do not cut down or disturb the ground in the area, but cordon it off to protect the area from further contamination and spread. Then call our friendly team at your earliest convenience to arrange a survey. 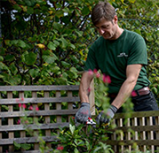 Removing Japanese Knotweed is much tougher than trying to remove everyday plants and should be handled by a team of experienced professionals. Digging the plant out is possible, but the mass of roots can penetrate great depths, so regrowth usually occurs. If you attempt to dig the plant out, you need to remove the root as much as possible, then repeatedly destroy regrowth as it occurs. This helps to deplete the energy reserves in the remaining roots underground, but this process may take several seasons before you can be confident that the Japanese Knotweed is eradicated. Glyphosate is the most effective and simplest method for home gardeners to take on a Japanese Knotweed invasion. It can be found in a number of different weed killers available at local DIY and gardening stores. It is recommended that the application of the weed killer is performed twice or three times a year and this could last four or more seasons. 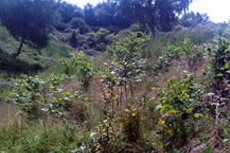 Specialist Japanese Knotweed removal experts such as WWCS, have access to more powerful weed killers that can dramatically reduce this period and eradicate your problem. Although not yet available in the UK, a plant sucker (psyllid) is being trialed at a handful of sites in order to introduce a biological way of controlling Japanese Knotweed. It isn't expected to be realised across Britain for another five to ten years, but will naturally spread to help control Japanese Knotweed. 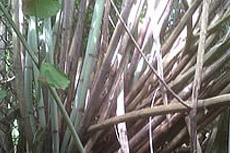 Japanese Knotweed is classed as 'controlled waste' under the Environmental Protection Act 1990 which requires that it be disposed of at licensed landfill sites. Japanese Knotweed should, under no circumstances, be included in normal household waste or put in local green waste collection bins. Why Is Japanese Knotweed A Problem? How Did Japanese Knotweed Take Over Britain? 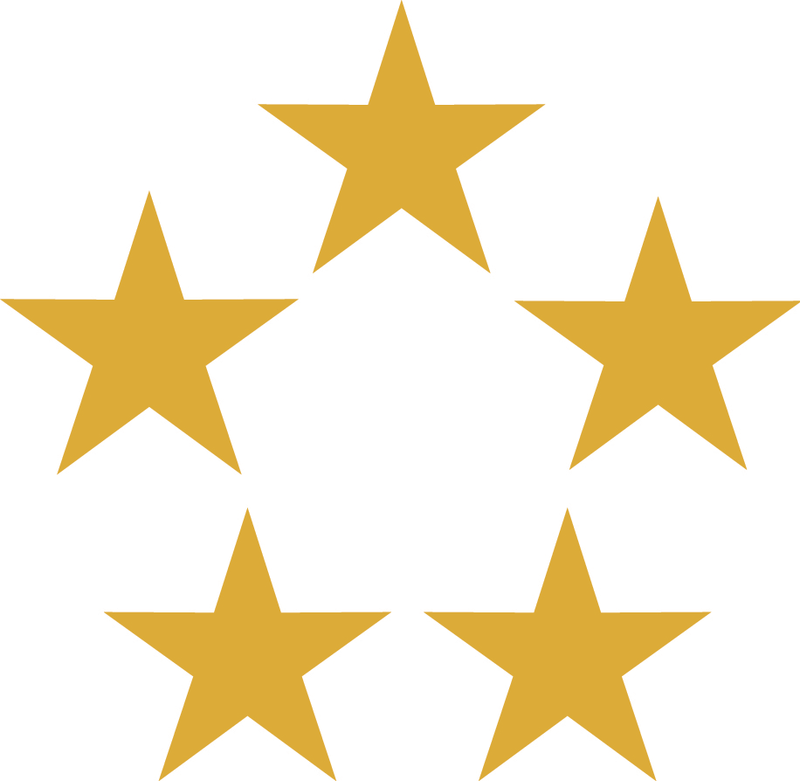 We are happy to discuss any potential quotations over the phone and alongside this, we can offer any specific job a free no obligation survey to allow us to fully understand the requirements of the task and provide an accurate price. Call our friendly team today on 0800 731 4879 for more information. 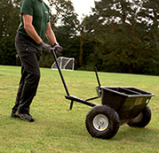 WWCS provides commercial grounds maintenance and environmental services for organisations across the UK. WWCS provide services from commercial grounds maintenance and tree work services to sports field management and pest control. WWCS have provided an excellent service for us over the last three years. The whole company is totally professional.